The new bedspread for my dorm room arrived a couple of days ago. I totally love it. My mom got these pink and green storage boxes that match it perfectly. Also, I saw HP the night it came out and loved it. Now, Dan is totally adorable. And I love his polka dot tie. 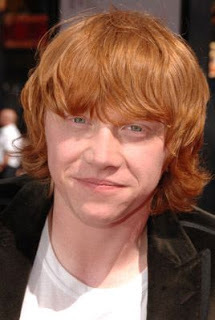 But Rupert is totally underrated. He's just as adorable.